Figure Skating Competitions can be fun and scary. Please remember that skaters only compete at levels they have already passed and are usually separated into age groups for the events that participate in. Participation in competitions is voluntary. Skaters are responsible for all related fees, transportation and accommodations.Here is some general information regarding competitions. Please note that all entry forms must be signed by the skater, the parent, a coach and the team liaison. 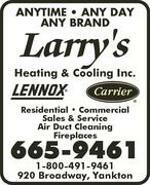 Registration fees must be included with the completed and signed entry forms. 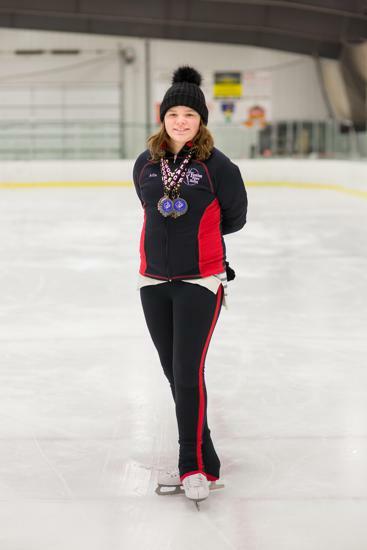 YAIA Yankton Figure Skaters is a member of the Ice Sports Industry. Below is a list of the ISI District 10 competitions for the 2018-19 Season. Information Packets and Entry forms can be found below as they become available. 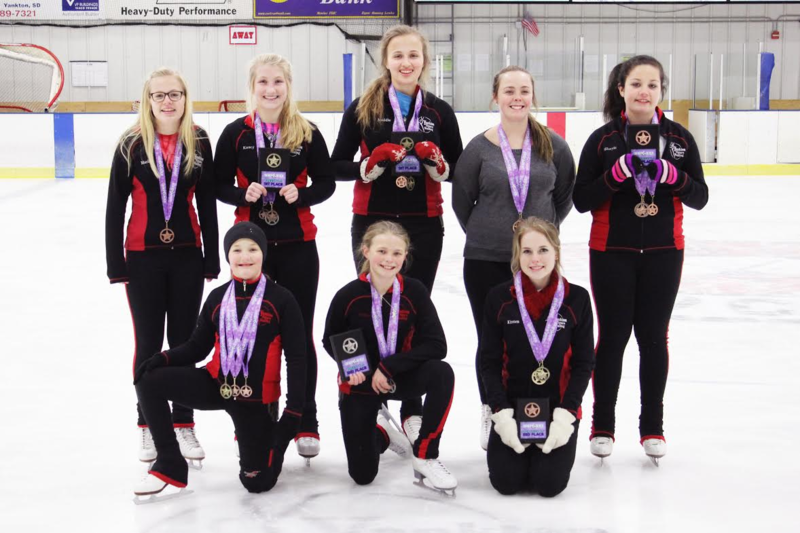 Yankton Figure Skaters who participated in the 2018-19 District 10 competitions. Great Job!! 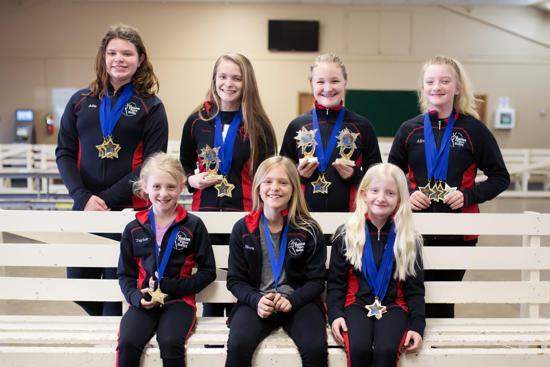 Congratulations to the Yankton Figure Skaters on their accomplishments during the 2018-19 competition season! Congratulations to the Yankton Figure Skaters who competed in the 2016-17 ISI District 10 competitions! Congratulations to the Yankton Figure Skaters for taking the 2nd place team trophy while competing in their home competition. 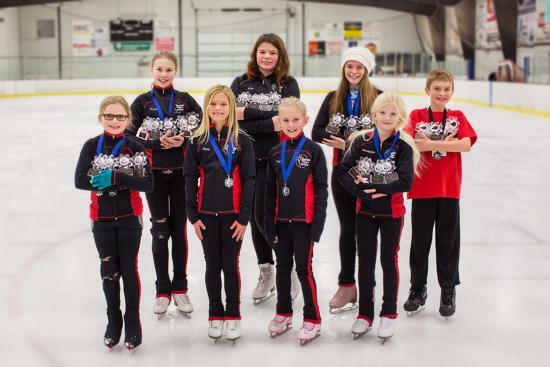 Congratulations to our Yankton Figure Skaters on their achievements at the 2016 Frosty Blades competition. Congratulations to all the skaters who participated in the Ice Crystal Classic in Luverne, MN the weekend of January 16th & 17th. 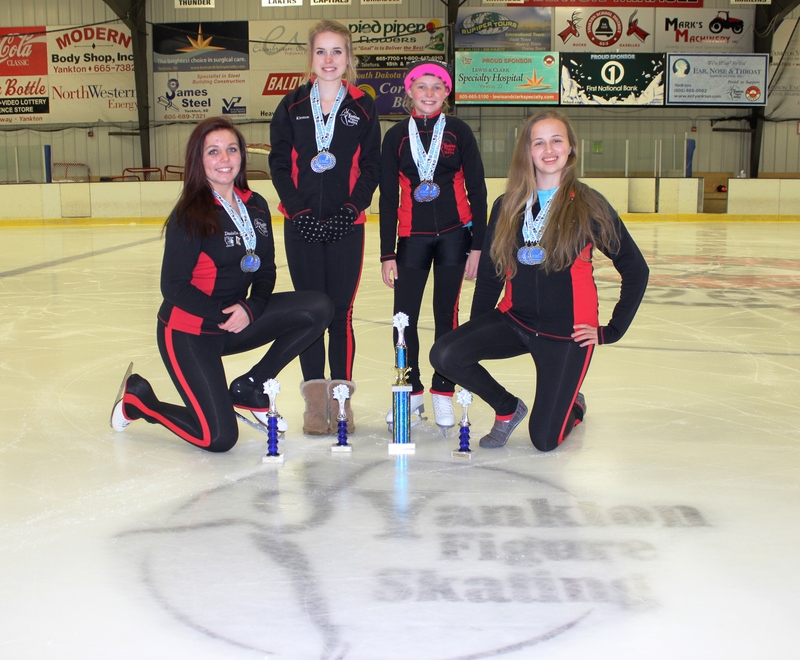 Yankton Figure Skaters came home with the 2nd place team trophy. 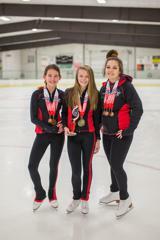 4 skaters participated in 13 different events bringing home four 1st place, eight 2nd place, one third place and three fourth place medals. Congratulations skaters! 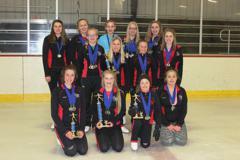 Congratulations to the Yankton figure Skaters who participated in the Sioux Falls competition. They did a great job! 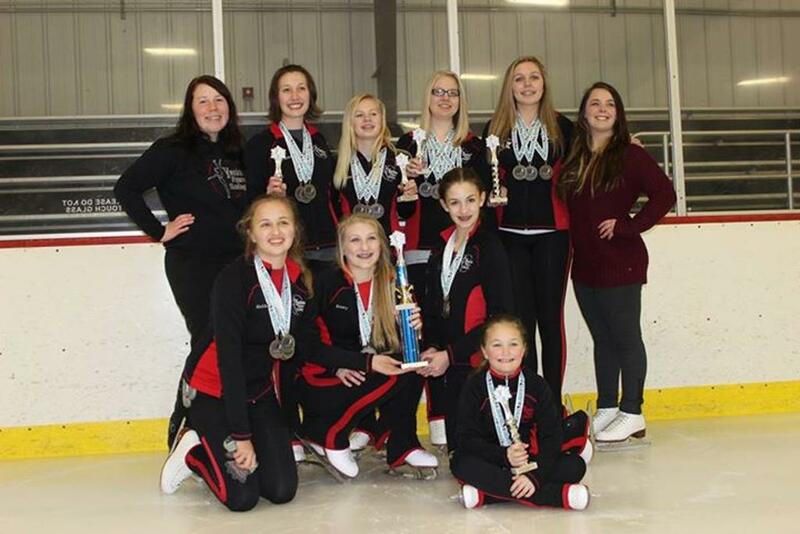 Yankton Figure Skaters having some fun and showing off their accomplishments at the Brookings Polar Blast competition. 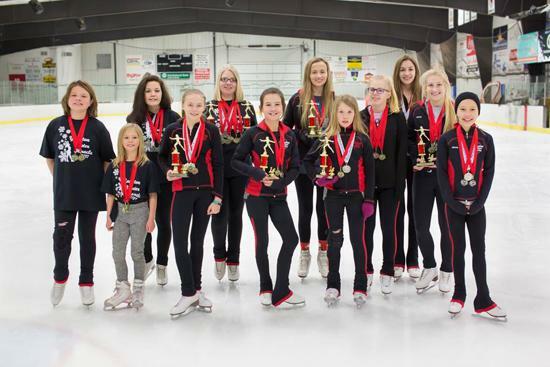 The Yankton Figure Skaters finished off their competitive season at the Sioux Falls Ice Classic competition on March 21st & 22nd. 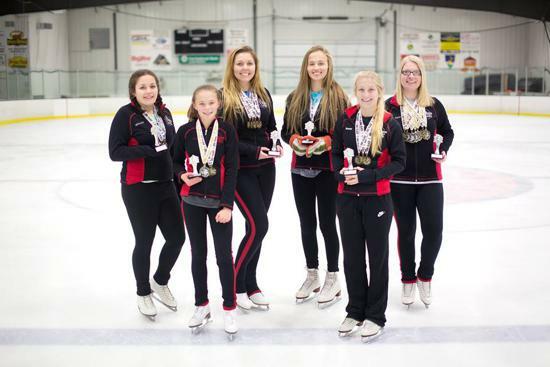 Nine Yankton skaters participated in 34 events. Yankton came home with 2nd place in overall team. 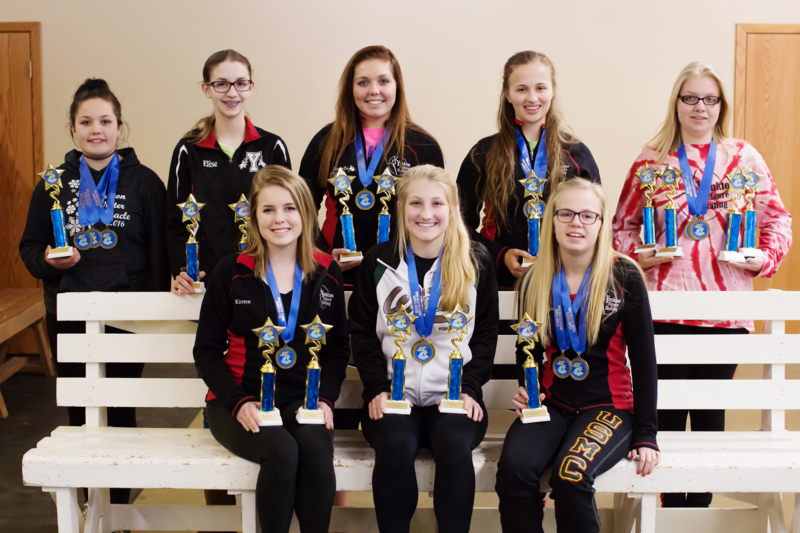 Congratulations to the Yankton Figure Skaters in finishing out a great season! 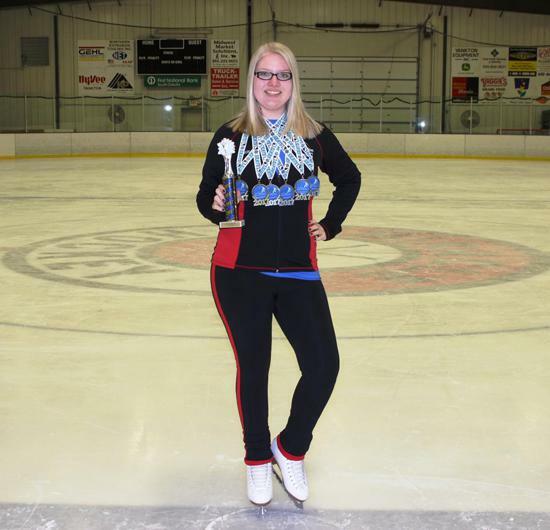 The Yankton Figure Skaters and Yankton Area Ice Association hosted their 1st open local competition inviting other rinks to perform at “Yankton Winter Miracle” Saturday, February 21, 2015. Clubs from Brookings, Sioux Falls and Luverne, MN along with the Yankton Figure Skaters participated. 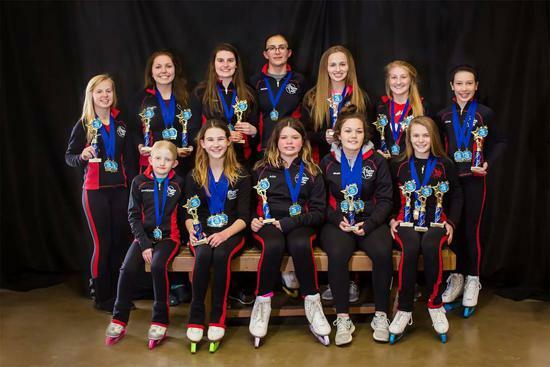 Thirty-seven figure skaters ranging from 7 to 18 years of age competed in various events. Stroking, Solo Compulsory, Footwork, Light Entertainment Spotlight, Character Spotlight, Dramatic Spotlight, Rhythmic Ball, Rhythmic Hoop, Rhythmic Ribbon, Interpretive, Jump & Spin, Team Compulsory and an Individual 1-2 minute originally choreographed program in the skater's level made up the 69 different events performed. 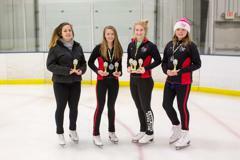 Yankton Figure Skaters came out on top securing 1st place by 21 overall team points above Blue Mound Figure Skating Club who came in 2nd, followed by Sioux Falls and Brookings respectively. 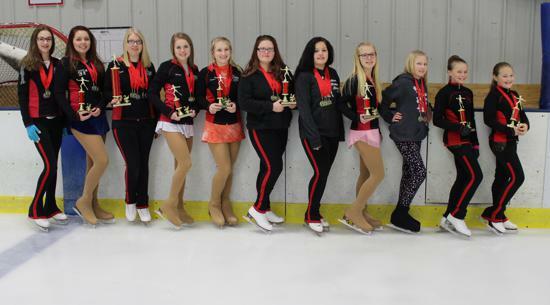 Congratulations to all the skaters who participated in the Ice Crystal Classic in Luverne, MN the weekend of January 17th-18th.. Yankton Figure Skaters came home with the 2nd place team trophy. 8 skaters participated in 24 different events bringing home 9 first places, 10 second places, 8 third, 8 fourth places and 1 fifth place. The skaters did an awesome job!